The witness sat, surrounded by powerful men in business suits, bracing for interrogation. 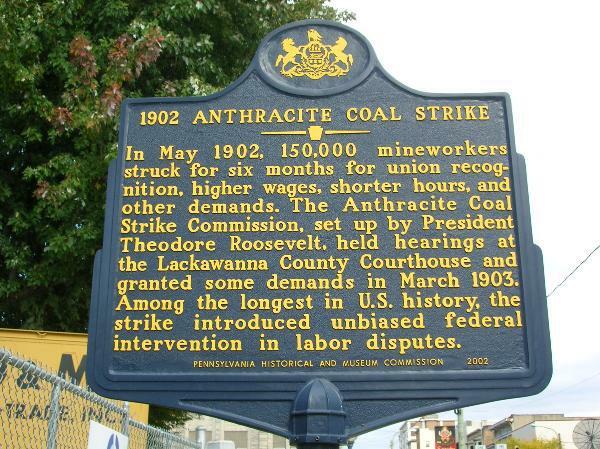 The Anthracite Coal Strike Commission of 1902 was taking testimony. The witness would be questioned about his role. His name was Andrew Chippie. He was eight years old. The boy explained to the commission how, after the strike, coal company owner John Markle cancelled the day-to-day leases of miners‘ families. Markle summarily evicted Chippie’s family, although the local sheriff argued for more time. Andrew Chippie recounted how his expelled family gathered its meager possessions from a pile on the sidewalk to trudge many miles to a relative’s home for shelter. During the rainy slog, Chippie’s bedridden grandmother collapsed. The small boy described desperate efforts to revive her. She died. Markle looked nervously around, sensing that the mood changed. Not only the mood changed. So did American history. You won’t find Andrew Chippie’s name anywhere in history textbooks. A Google search will reveal nothing. I read about him in a photo exhibit at the Pennsylvania Anthracite Heritage Museum in Scranton, PA. But nevertheless, the boy changed history. Andrew Chippie and his family stood as the America worker in microcosm. During the Gilded Age, corporate titans like John Markle, JP Morgan and Andrew Carnegie were hailed as “captains of industry.” In that narrative, such entrepreneurs built America. Free-wheeling capitalists used American freedoms to create empires, bringing more and better products to everyone while employing thousands. The Morgans and the Rockefellers were the heroes, admired by all. Literature celebrated their achievements. “From rags to riches” was the theme. But Andrew Chippie, his evicted family and his grandmother dying in the mud, were incompatible with that. America changed. Thanks to muckraker journalism and the exposure of corporate wrong-doing, the “captains of industry” of the previous era were losing their exalted status, morphing into villains who exploited poor immigrants, women and children. Some saw them as greedy vampires sucking the lifeblood out of the middle class, building empires upon unspeakable cruelties. It’s a fascinating paradox: How can someone be a hero in one age and then a villain in the next? Interpretations, the stories we tell ourselves, wax and wane. Society’s values change. Vincent Van Gogh’s paintings were nearly worthless in the 1880s. His only sales were pity purchases by his brother Theo. But a century later, a Van Gogh is worth tens of millions of dollars. Worthless in one century, priceless in the next. History is analogous. Who any society holds up to be admired or vilified tells us much. Gilded Age titans were revered with their vast (and tax-free) fortunes, but as the the societal downsides and costs became common experiences, their legacy was clouded. So the Gilded Age became the Progressive Era. Then, early in the 1900s, politicians such as Teddy Roosevelt were the heroes. But once the horror of World War I’s “trench warfare” unfolded, the politicians who created that war went onto history’s junk pile. Political “do-gooders” such as President Woodrow Wilson fell out of public favor. And who did Americans revere in the Roaring 20s? Sports greats like Babe Ruth and Jack Dempsey, movies stars like Charlie Chaplin and Greta Garbo, and daredevils like Charles Lindbergh. Americans just wanted to party, and it showed in their heroes. I tell Andrew Chippie’s story also because it’s a great opportunity for history teachers of all levels. If you’re not a teacher, you may want to skip ahead to the final section. I call the assignment Pick A Picture. Assign your students any historical period. Tell them to select one photograph that best explains life in America at that time. Then write a four-page history paper explaining how that specific photo opens windows of understanding about all of America at that time. A 1000-word documented paper is due in ten days. Students must scour images, design and defend a historical thesis, accumulate facts and claims to sustain it, while anticipating counter-claims. On the due date, class circles up. With their papers, give each student a chance to explain and defend their selection. There should be a lot of stimulating back-and-forth. Students will learn to design and defend a thesis. They will gain sophistication and be taken intellectually seriously. From that they gain confidence. Teachers can expand the oral part of this project too. Have students save their images digitally, then invite them to the front to sustain their case using the computer projector and screen. They become more powerful people by learning to think on their feet. The potential subject matter is infinite. Students get to read, write and think at their own levels. They’ll develop their own philosophies of history and understand social change over time. They’ll research, organize and present information, and gain confidence in the process. Collect the photos for a bulletin board. Reproduce them in magazine form for publication within the school. It works with any period of history. Imagine a photo of jubilant blacks and perplexed whites the moment the OJ Simpson verdict was announced in 1995. That moment tells volumes about the complex state of race relations. It’s a worthy line of inquiry. After this project, you may be pleased to see students debating history at the lunch table. For my activity, I would select a photo of anonymous little Andrew Chippie, whose story, in the aggregate, changed the relation of labor to capital. Repeated in different forms early in the century, it altered the priorities of American government from laissez-faire to active regulation in the public interest. The labor movement, previously rejected as the germ of dangerous European communism, gained acceptance. 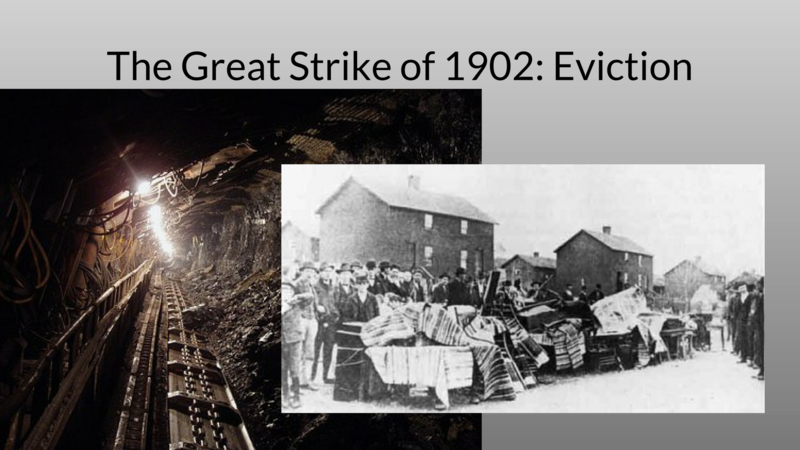 Union recognition and collective bargaining rights changed the nation’s economic structure. It’s worth asking, who are our heroes? Who do we admire and why? What does that tell us about our society? If this post sparked you to think about history and connect it to the present, please share. History is all around us all the time.